Garage Equipment Online can supply your business with the Fini range of screw driven air compressors, these high performance garage workshop air compressors are designed to provide outstanding levels of air flow providing all of the compressed air that may be required by a high demand garage workshop. The Fini Micro SE 308M-200ES is a truly outstanding screw driven air compressor and is available as a free standing unit or with 200 Litre receiver and on board refrigerated dryer unit making it the ideal air compressor for professional garage workshops. The Fini Micro SE 308M-200ES air compressor features a highly compact design and ultra-quiet operation, this garage workshop air compressor is suitable for direct installation into the working environment via a three phase power supply for maximum convenience and reduced installation times. User friendly electro-mechanical control, automatic control for safe operation and easy access to operating value. The Fini Micro SE 308M-200ES features a highly advanced cooling system, the thermostatically controlled centrifugal fan reduces noise and reduces energy consumption, the surface area coolers for the air and oil ensures that your air compressor operates at lower temperatures even at high room temperatures. 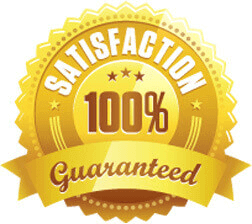 Easy to maintain all serviceable components are located in an easy to access position further reducing maintenance costs and down time. The Fini Micro SE 308M-200ES air compressor is supplied with Rotenergy Plus synthetic coolant with longer servicing intervals required before changing and reduced friction to moving components. The Fini Micro SE 308M-200ES air compressor features a POLY-V belt drive system, this highly advanced belt drive system lasts up to 3 times longer than normal V belts (up to 12000 Hours continuous operation) with much greater drive efficiency improving output and saving power. The Fini Micro SE 308M-200ES air compressor is available in single or three phase options. 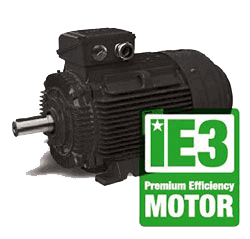 Ultra efficient IE3 Motors for reduced energy consumption. Highly Durable garage workshop air compressor, the Fini Micro SE 308M-200ES air compressor is a state of the art piece of garage equipment Fini have over 50 years of experience in the manufacture and production of air compressors and this has allowed the Fini brand to become a highly recognised and respected supplier of high quality air compressors. Order your air compressor as part of a package deal to receive additional discounts. The design of the Fini MICRO range of garage workshop air compressors, including the high efficiency IE3 motors, has been fully focused on combining the different components that make up a perfect compressed air installation for a completely integrated, modular and functional system that combines maximum convenience with optimum energy efficiency. To order your Fini Micro SE 308M-200ES air compressor contact a member of our sales team Today on +44 (0)151 601 4945.